It has been a while! Hello! We’re back. Sort of. In this episode we tackle the prophet Deborah in Judges ch.4-5 and get into some deeper questions from our twitter followers and friends. We hope you enjoy! For more research on this topic, see the excellent article by Ron Pierce, where he goes through the story of Deborah and Jael in great detail. Arthur H. Lewis makes several additional theological and linguistic points about her son in Judges ch.5. For a more historical survey of Deborah in church history, see J.G. Brown. Much is often asserted about the nature of priesthood in the First Testament, and Christina Campbell has some interesting points to make about that question. Also, finally, for those who desire an answer to who Nick was compared to….see Episode 16 of The Sinnergists Podcast. You should go follow them on twitter, too. Here is a re-recording of Allison’s conference paper at the CATA conference in Toronto, CA! Welp, we’re back! In this episode we tackle complementarian readings of Genesis 1-3, focusing specifically on Gen 1:25-28, 2:15-25 and 3:1-7. We interact with Ray Ortlund’s article in RBMW (Nick gets mildly sassy a few times) as well as Denny Burk’s article in The Gospel Coalition. Needless to say, we found their arguments/ assertions lackluster and unbiblical. For those who are interested in further resources on this topic, see Marg Mowczko’s excellent and accessible scholarship and Richard Hess’ article on Genesis 1-3 in Discovering Biblical Equality. For those interested in more hermeneutical work, see the articles by Kevin Giles, Jasmine Obeyesekere Fernando, and John Jefferson Davis in Priscilla Papers. As it is clear, we do not believe Genesis provides complementarianism any ground to stand upon, and instead points toward an egalitarian reading that is consistent with all Scripture. Tune in next time as Nick and Allison discuss the Fall and the impact this event has for our understanding of gender and mutuality! Well we are back! Sort of! It has been a busy few months with the new job transition for Nick, but thank God we are finally on some sort of schedule. This week we talk with Dr. Michael F. Bird, who is Academic Dean and Lecturer in Theology at Ridley College in Australia about Jesus and his view of gender. Mike is a former complementarian who has recently changed his mind on the bible's view of women and we talk about many things in this episode. Among these things discussed are Jesus and divorce, coffee, Mike's poor taste in drinks, the genderedness of Jesus and soteriology, the issue of sexism and gender dynamics in the classroom, and so on and so forth. It was lively! We apologize for the audio quality, as we are still working on figuring out how to properly record people who are technically in the future. For Mike's books, we recommend his The Gospel of the Lord, Evangelical Theology, and his new commentary on Romans. Episode 19: Gender Myths, Friendship & Stray Cats? So, it has been an odd journey since last we spoke! Nick and Allison have both had a few major life changes (you'll have to listen to the episode to find out what exactly all that is! ), but today our topic concerns different so-called "gender myths" in relation to friendship and the church. We tackle three so-called "gender myths" in this episode. Gender Myth 1: sexual love/marriage is the highest form of love. Gender myth 2: men and women cannot be 'just' friends (Nick makes a comment about the Billy Graham 'rule' which is #savage). Gender Myth 3: To be fulfilled/fully human is to have a sexual relationship/ be married. A recommended resource that has shaped a lot of our thinking on this subject, and various gender myths, belongs to New Testament scholars Wesley Hill and his book Spiritual Friendship. The church has drunk deeply from the cultural well, where sexualization has eclipsed the message of Jesus. And we may have an epic guest on for next time! "Greet Andronicus and Junia, my kinspeople and my fellow prisoners, who are outstanding/prominent among the apostles, and who were in Christ before me." "Oh how great is the devotion of this woman Junia that she should be even counted worthy of the appellation of apostle!” -John Chrysostom, Homily on Romans. In this episode, Nick and Allison tackle the issue of whether or Junia is a woman or a man, and her status among the Apostles. As we shall see, both the grammar and nature of the language itself supports the standard conclusion that Junia was a woman and was indeed counted among the apostles (contra the ESV and some modern scholars). 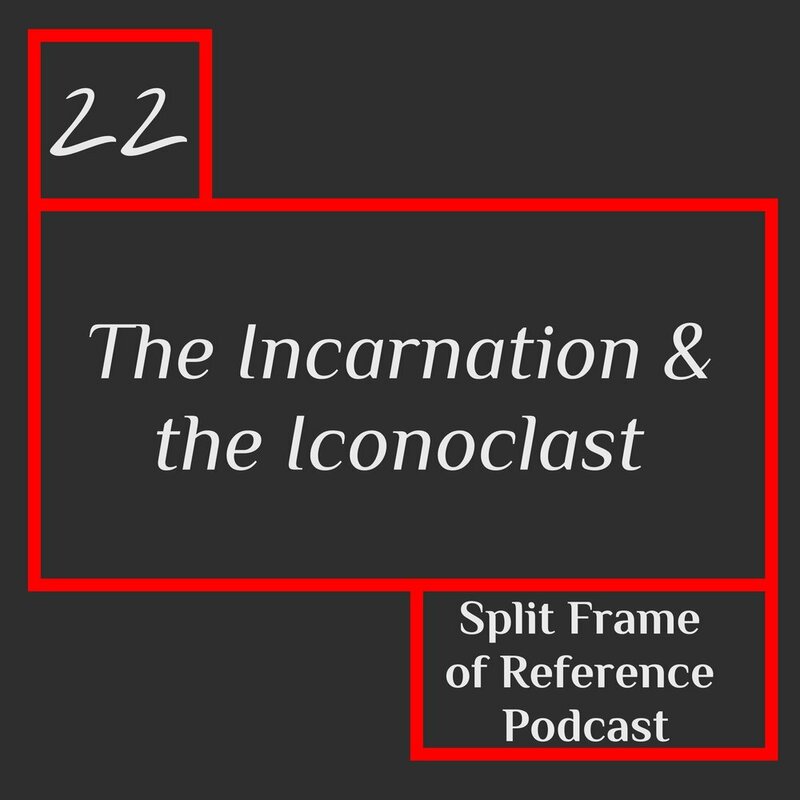 We also speculate about her role in the early formation of the church of Rome, and Nick suggests some ideas about her status and relationship to a certain Joanna of Luke's Gospel (8:1-3 and 24:9-11). There are a wealth of resources about this woman. Of specific prominence among them (see what I did there?) are the excellent books by Eldon Jay Epp (Junia: The First Woman Apostle) and Richard Bauckham (Gospel Women). Other commentators that have accepted the fact that Junia is an apostle in Romans 16:7 include James Dunn, Robert Jewett, Ben Witherington, Grant Osborne, Stanley Porter, and Richard Longenecker among others. One can fairly say that this conclusion is essentially the standard view in New Testament evangelical scholarship. Ben Reynolds has a really good blog post with specific citations that is worth your time if you want to see how all of this flows together. Other New Testament experts like Scot McKnight and The Junia Project and Christians for Biblical Equality have written on the subject. Similarly, see Philip Payne's broad case for women in ministry and Mark Reasoner's explorations of Romans 16 as a whole in Priscilla Papers. We've also started a PATREON PAGE for those who are interested in helping us! Well it is a new year! We both hope you all had a happy holiday (or Xmas for those who get mad at the word 'holiday'). Now that Nick has graduated, some interesting life changes have happened and we talk a bit about those events and potential events in this episode. We apologize for the delay, but we think you will understand more once you hear what we have to say. For an excellent work on women in Romans 16, see the academic work of Mark Reasoner on Romans 16 in general, J. David Miller on the various interpretive options surrounding Phoebe in Romans 16:1-2, Clayton Croy on translational bias in Romans 16, Philip Payne on the equal standing of women in Scripture and on the "titles" of women in Scripture and Robert Hull on the women mentioned in Philippians 4:2-3. For excellent and practical scholarship and wisdom, we commend The Junia Project, Christians for Biblical Equality and Marg Mowczko to you. If you are interested in learning more about Apphia in Philemon 1:2, see Nick's peer-reviewed article published with Priscilla Papers. If you like what you hear, please give us an honest five star review on iTunes and follow and connect with both of us on twitter (Nick and Allison)! Welp, this is our second recording of this difficult portion of Scripture! Allison took the lead on this one, walking us through multiple exegetical and theological issues within Romans 5, especially as it relates to gender. Does Romans 5 say anything about gender? The answer may surprise you. Or it won't. For Allison's paper on Romans 5:12-21 and universalism, see right here. For her post on resisting evil on Tim Fall's blog, see right here. For her presentation on Eve Christology, see here and here for her further explorations. If you want to help us out in any way, feel free to 1) share this post on social media, 2) follow us on twitter (Nick, Allison), and giving us an honest 5 star review on iTunes! Thank you to all who are new listeners! Boom! In this episode, we tackle a highly debated text - although we do so with a different edge. While we affirm a fairly traditional reading of Romans 1, we come to some interesting conclusions that affect the evangelical gender debate - in a good way! Nick also eats some gross jelly beans, and Allison sips some fireball whiskey. Nick will someday avenge his honor and his sweet tooth. This is a recording of Allison's presentation she gave at Duke Divinity School in mid-August and at the Interdisciplinary Theology Conference in October. Since many of you have inquired about it, we decided to make it a podcast episode for all to enjoy. Most importantly: will Nick get a good jelly bean or a bad one? You'll have to listen and find out. Much thanks to those who have taken the time to rate us on iTunes! Also, for those who are interested in a more broadly evangelical conference and theological association, see the Canadian-American Theological Association, where Allison and I are both members, and we both presented papers in October! To follow us on twitter, see @NickQuient and @AllisonQuient. Our next episode will center on Romans 1:18-32 and Gender. Should be fun! Episode 13: Bonus Episode with Road Trip Q&A! Well, this one was interesting to say the least! We drove out to Flagstaff, AZ to hang out with one of our best friends (hi Kyle), and then we drove another 7 hours to south Denver, CO for a wedding (hi David and Rebecca and KJ and CJ). That explains the odd audio quality and the different songs. Christian perfection. Our first meeting at Biola. Submission when it is not mutual. And we answer some listener questions from twitter. Plus some other ideas that we cannot speak of, since we want you to listen to the episode! Thanks to everyone who has rated us on iTunes and asked us questions on social media! Plus rate us on iTunes! We have 6 reviews and an average of 4.5 stars out of 5! Next episode will have Nick trying out some Jelly Beans! Welp. We were exhausted in this episode. No excuses. Come to think of it, we're still exhausted. Check out the #CBE17 hashtag for all of the updates during the conference: mostly tweeted by us! In this episode, Nick and Allison discuss the wide-ranging topic of women in Luke/Acts, touching on various elements of the doctrine of God, the Holy Spirit and Pentecost, how we should read narrative, and commenting on the evangelical tendency to downplay narrative in the quest for 'propositional' truths. Allison also makes Nick (makes, hah!) drink cheap red wine in honor of a certain someone. You can infer who this might be, but we ain't telling. Resources on the topic are vast, but the best English commentary on Luke is by Joel B. Green of Fuller Theological Seminary. A standout commentary that Nick says he reads for fun. A similarly great volume on the theology of Luke is also by Green. Resources more relevant to the topic discussed in this episode include Gospel Women: Studies of Women Named in the Gospels by Richard Bauckham as well as his Jesus and the Eyewitnesses, which makes an appearance in this episode. For a killer article, see Nijay Gupta's excellent contribution in Priscilla Papers on Mary and The Double Message by Turid Karlsen Seim. We hope to see you at the CBE Conference in Orlando! Blessings! Since this episode won't air on Sunday, Happy Mother's Day! In this episode, we had some fun! We went through a lot of Galatians 1-3 for context, and then worked through the parallel passages of Galatians 3:28, as well as the theology within this verse. We also spent a great deal of time answering some listener questions. If you ever have any questions or comments, feel free to email us. Allison wrote a killer article entitled "A Woman's 'Role' as a First-Born Son: Full Justification in Christ Leads to Full Participation." Other helpful works include Philip Payne's entire article on Galatians 3:28 (starting at p.11 in the pdf), a post by Margaret Mowczko, and a Priscilla Paper's article by Faith Martin. Besides, the earthly implications of being a son or heir and the use of common social divisions, what other reason is there to think Gal 3:28 is practically minded and not limited to a justification that is mainly in spirit? It is also evident in parallel passages. The other similar passages are Colossians 3:11 and the baptismal statement 1 Cor 12:13. Both are applied to practical issues within the church and take on some familiar themes. “Do not lie to each other, since you have taken off your old self with its practices and have put on the new self, which is being renewed in knowledge in the image of its Creator. Here there is no Gentile or Jew, circumcised or uncircumcised, barbarian, Scythian, slave or free, but Christ is all, and is in all” (Col 3:9-11). “Just as a body, though one, has many parts, but all its many parts form one body, so it is with Christ. For we were all baptized by one Spirit so as to form one body—whether Jews or Gentiles, slave or free—and we were all given the one Spirit to drink. Even so the body is not made up of one part but of many” (1 Cor 12:12-14). Clearly, unity in Christ is tied to practice. Allison's blog post will help answer any additional questions you may have about this passage, as we could not cover every single detail. Thanks for listening! If you would like to help promote the podcast, please retweet this or share us on your social media page, and leave us a (5 star?!) review on iTunes. Thanks and God Bless! Allison and I originally planned on working through Galatians 3:26-29 (and more specifically through the entire epistle) in this episode, but some interesting events have occurred in the blogosphere that demanded our response. On April 19th, John Piper released a short 10 minute video where he responded to a questioner from the United Kingdom. The questioner asked him about the 'future of male headship' and if it was a 'lost cause.' As can be expected, Piper offered four (one? you'll get it later if you listen to our episode) complementarian reasons why he does not think male headship is a lost cause. You can read/listen to the entire thing here, and Allison and I figured this would be worth a detailed response. In order to best examine and critique Piper's comments, we had on our first guest, Dr. Jamin Hübner! Dr. Hübner is Director of Institutional Effectiveness and Associate Professor at John Witherspoon College in Rapid City, South Dakota. Dr. Hübner is a graduate of Dordt College (BA Theology), Reformed Theological Seminary (MA Religion), and the University of South Africa (ThD). He has also blogged at Christians for Biblical Equality. Dr. Hübner's works include a book called A Case for Female Deacons (a work we have recommended before) and multiple academic articles on various aspects of the gender debate, including peer-reviewed in-depth research on the controversial "assume authority" infinitive in 1 Tim 2:12, Bible translation issues regarding the clarity of Scripture and how to translate the same infinitive in 1 Tim 2:12, and the history of the evolutionary process of complementarian exegesis. So, as you can see, we were deeply blessed to have such a scholar on our podcast! Plus, he's quite fun to chat with as well, as you will see! The Desiring God video includes a transcript of his response to the questioner, and we invite you to read through it as we discuss in great depth why we all believe John Piper is deeply wrong about this issue. As you will see, egalitarians are not interested in merely accommodating culture. Allison, Dr. Hübner and I all came to our position through rigorous analysis of the Biblical texts and we all profess and live into our commitment to the authority of God's word. Speaking only for myself (Nick), if I thought Scripture said otherwise, I would be a committed complementarian. As such, Scripture gets to dictate my beliefs and I remain a convinced egalitarian. Far from being a 'liberal' movement, both Dr. Mimi Haddad (President of CBE) and Allison Quient have shown that egalitarianism is far more rooted in historic evangelicalism than complementarianism. Indeed, a mere perusal of the original signers of the Christians for Biblical Equality statement (a statement absolutely saturated in Holy Scripture) include influential scholars such as F.F. Bruce (who was considered the Dean of Evangelical New Testament scholarship, and is a personal hero of mine), Mimi Haddad, Gordon D. Fee, Kevin Giles, Kenneth Kantzer (formerly of TEDS), Richard Longenecker, Aida Spencer, Grant R. Osborne (of TEDS as well), David Scholer (of Fuller), Alvera Mickelson, and Philip B. Payne (who we have recommended many times!). These are giants in evangelical scholarship, and are not people dedicated to the winds of modern cultural trends. Disturbed by the shallow biblical premise used by churches, organizations, and mission groups to exclude the gifts of women, evangelical leaders assembled in 1987 to publish their biblical perspective in a new scholarly journal, Priscilla Papers. Included in the group were Gilbert Bilezikian, W. Ward Gasque, Stanley Gundry, Gretchen Gaebelein Hull, Catherine Clark Kroeger, Jo Anne Lyon, and Roger Nicole. The group determined that a national organization was needed to provide education, support, and leadership about biblical equality. Roger Nicole, an original signer of the Chicago Statement on Biblical Inerrancy and a deeply influential Reformed theologian, saw no issue between his very outspoken egalitarianism and his commitment to the authority of Scripture. Philip B. Payne was also an original signer of the same influential document. Egalitarianism, as argued by all of these brothers and sisters, is grounded firmly in the authority of Holy Scripture. This is why CBE's conferences are so important. Allison and I recorded a video promo for CBE, and if you find it helpful, please share it as well! We'd love to meet and see you in Orlando, FL this July! We would also be deeply grateful if you would share and tweet this podcast to get the word out! Pastor John Piper is a committed Christian and his words have significant influence. Please review us on iTunes (a nice 5 star review gets you a shout out on the air!). Also follow Nick and Allison on twitter for all the tweets! Episode 8: 1 Corinthians 14:34-35, Interpolations and Allison Hates Beer! Well hello, welcome to our podcast! And blog! In this episode, we talk about the finer points of textual criticism, church fathers, and the various interpretive issues surrounding 1 Corinthians 14:34-35. We argue that the context and textual problems strongly suggest that these two verses are an interpolation. Also, because Nick *makes* Allison drink a beer she doesn't like (at all! ), Allison threatens Nick with a furious vengeance. You have the power to determine whether or not Nick suffers. Listen and find out how you must do it. For every 5, Nick eats 1. If this does not make sense, you will need to listen and find out! Recommended resources this week include Payne's work and Craig S. Keener's chapter in Discovering Biblical Equality. For an excellent short sermon article, see Brandon Waite. Follow Nick and Allison on twitter, and give us 5 star reviews on iTunes! That is how we become famous and make millions of dollars. Or something. This episode is a bit different. We get a bit personal. Well, we also tell jokes and enjoy our time together as always! This time, Allison and Nick tell us about their egalitarian wedding, including some interesting details that often get left aside. Nick gives us a glimpse into the theology of John Wesley and Allison talks about Paul and Adam for book corner. Then it is off to the races. Allison gives us a lot of insight into her experiences in seminary as a woman, and offers a lot of practical advice for women struggling in ministry or an academic environment. Some helpful material from Priscilla Papers is Adam Omelianchuk's article, on "The Logic of Equality." Also worthy of your time is Jeanne William's article on "Christlike Responses to a Hierarchical World: Lessons from Bold Women." Episode 6: 1 Corinthians 11:2-16, Beanboozled, Sexuality and "Headship"
Well, this is the first episode of the New Year. Not much else to say about that, especially given what has happened in the news. In this episode, we tackle Paul's most difficult passage, a passage that has kept a lot of Pauline exegetes scratching their heads. Allison coerced Nick into trying a jelly bean or three, and it did not end well. At all. For either of them. Recommended resources include Philip Payne's article on 1 Corinthians 11:2-16, Alan Padgett's article on the same passage, Heather Gorman's article on 'origin stories,' and Gordon Fee's commentary. It goes without saying that Payne's book is stellar and you should pick that one up. Follow both Nick and Allison on Twitter! Subscribe to our podcast on iTunes, and give us 5 stars! Please? We can only rise if others share, subscribe and review. If you give us a 5 star review (a 5 star review that is nice and not mean), you get a shout out. Guaranteed. Also, check out Christians for Biblical Equality's conference! There. I'm good with this.